The SENSUS Pain Management System received FDA clearance for the treatment of chronic intractable pain, including painful diabetic neuropathy (PDN) and is used by thousands of patients. It is the only TENS Unit approved to be used during sleep. The SENSUS Pain Management System is a transcutaneous electrical nerve stimulator uniquely designed for people with diabetes and chronic pain in the foot and leg. 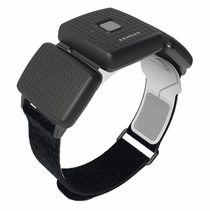 It is a device that can be worn on one or both legs and is activated by simply pressing a button. SENSUS provides pain relief by comfortably stimulating the nerves that carry normal, non-painful sensations to the brain. Stimulation of these nerves changes the levels of certain natural chemicals in the nervous system that decrease pain. 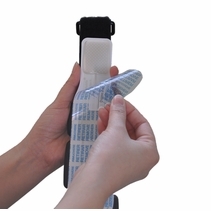 This device is made to provide you with a comfortable and non-invasive way to provide relief where you need it most.